After the success of the 5T in 2017, OnePlus has a lot to live up to. In line with the trendy new features we're seeing in this year's flagships, the rumors about the OnePlus suggest it is going to be comparable to the iPhone X for example, but this comes at a price. Could the brand be losing its niche in the market? How much does a smartphone even cost to make? 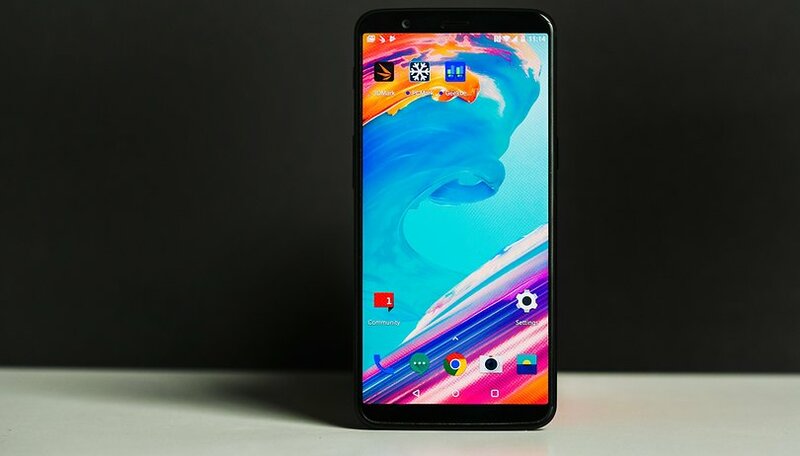 Since the beginning, OnePlus have consistently offered affordable phones, with features and specifications to compete with flagships, which is why it has such a loyal fan base. It seems however, that what some love most about the brand could be coming to an end, with leaked images surfacing on Chinese social network Weibo revealing a higher than expected price tag for its upcoming smartphone, and this will undoubtedly be disappointing for some. The 5T was released at $499 or $599 at the end of last year, with modernized design features such as its practically bezel-less display with an aspect ratio of 18:9. Now, the brand seems to be working towards an even larger screen, with a 19:9 aspect ratio, at $749. What explains the price jump? Taking into account the brands links with Vivo and Oppo, it is all the more likely that the OnePlus 6 will have an in-display fingerprint sensor, making it the first flagship with this technology. Up to now, the rumors have suggested it could also feature a display-notch, 3D facial recognition, and a Snapdragon 845 processor. It could be then, that the increase in price reflects the inclusion of these innovative technologies. Looking at the image below, further details are revealed showing 8GB of internal storage, and 256GB of RAM. This is unlikely to be a contributing factor to the $200 price increase, though. Yes, this could be the most expensive OnePlus price so far, but if the rumors are true and these new technologies will be implemented, then $749 is a reasonable price to pay, especially when you consider the cost of the iPhone X and Galaxy S9+. So long as the brand doesn't continue to creep closer to that $1000 mark, then we can be satisfied. As always, it's important to treat the leaks with some skepticism though, and wait for the final release when all the details are confirmed. If true, do you think this is a bad move by OnePlus? Let us know in the comments. Would you buy the OnePlus 6 at $749? "Looking at the image below, further details are revealed showing 8GB of internal storage, and 256GB of RAM. This is unlikely to be a contributing factor to the $200 price increase, though." Hey AndroidPit team. Read this again. Carefully. The current trend is to increase the price of mobile phones, implementing a number of functions that they need too little, with higher prices being avoided. A search for other phone models will lead to a reorientation towards more affordable phones even if they do not have a well-known name. Few are enthusiasts and are willing to give a lot of money to own the latest phone model. And that seems unnatural to me. After they promised updates for the op2 I wanted nothing to do with any of their phones. To me one plus will always be a second rate company. Sure they sell for cheap but those days are coming to an end with the op6. Now they will be priced 6 to 7 hundred dollars & still missing premium features & including the ridiculous notch. No way! Oppo has been slowly creeping up the price of their OnePlus brand each year, to get them to the profit level of Vivo & the Oppo phones. When they started, their viral marketing created a "feeding frenzy" with their never settle BS along with the doing something for the people line. But, all along they have told untruth things, delayed, and have had terrible support. You could see the handwriting on the wall. No more deals from one plus. Besides the ridiculous notch will be included = no sale for me!